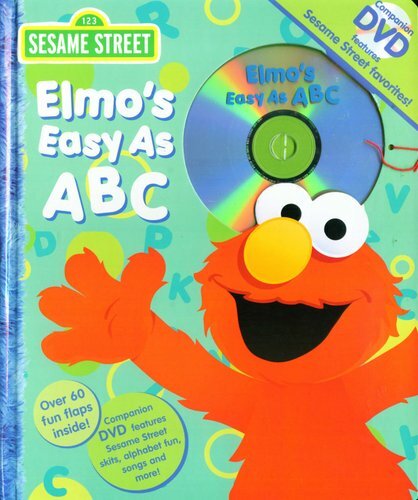 Learning the alphabet is easy when your friend Elmo is there to help you along! Kids will love exploring the alphabet hidden beneath the 60 action flaps and finding other letter-appropriate objects in every richly illustrated scene. When they are done reading, they can watch the 17-minute DVD that's tucked into the front cover. 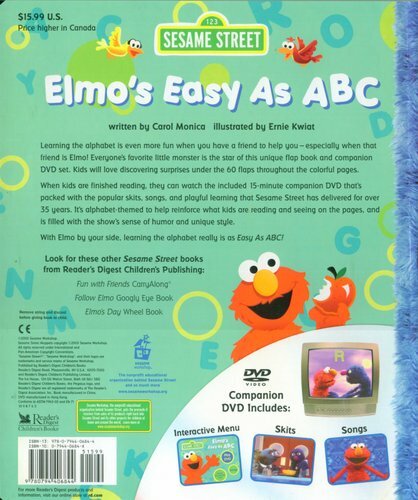 Packed with alphabet-themed songs, skits, and graphic teaching elements that Sesame Street is famous for, it supports the book's educational content while entertaining and involving children in a way unique to the TV show. What child could resist signing along to Elmo's "Alphabet Rap" or the Boogie Woogie Piggies' rousing barnyard rendition of the alphabet song? Learning the alphabet really is as easy as A, B, C!